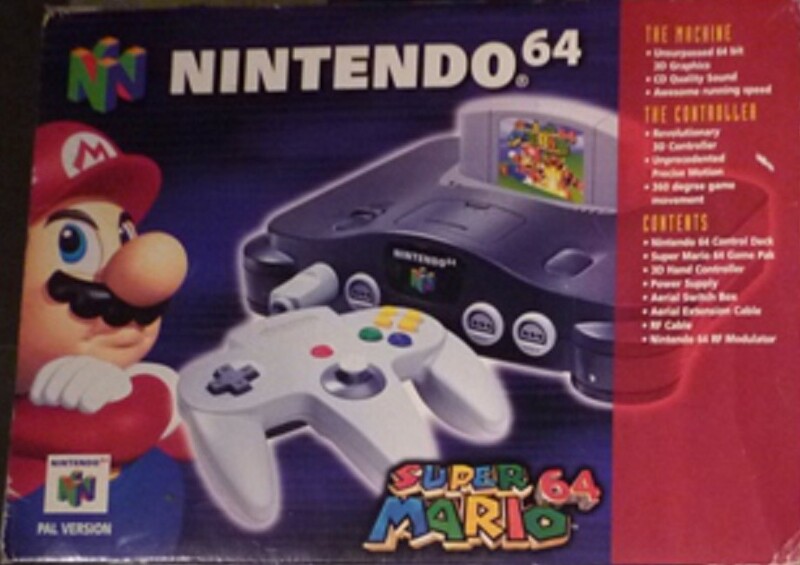 Classic Pack (charcoal black console and grey controller), special slipcover, Super Mario 64 game cartridge and manual. Classic charcoal black console, grey controller, black Mario Pak slipcover, Super Mario 64 game cartridge and manual. 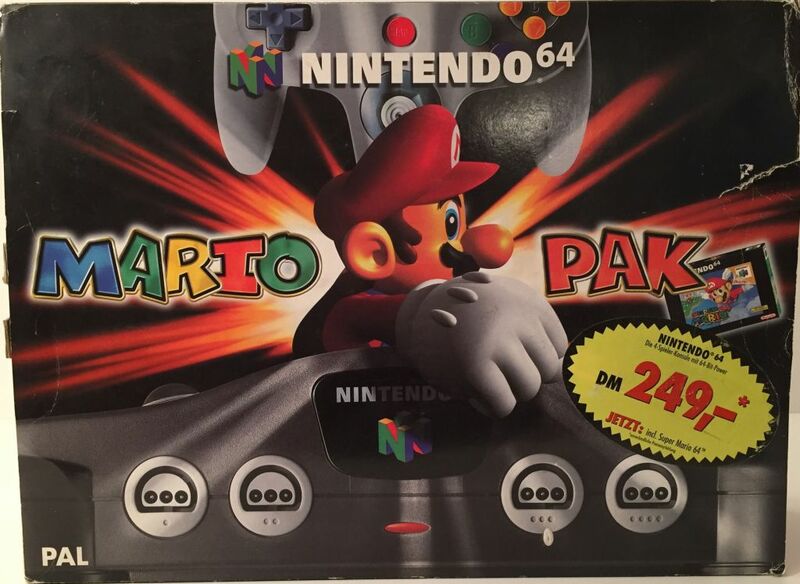 Classic Pack (charcoal black console and grey controller), special slipcover showing the content of the bundle in French, Super Mario 64 game cartridge and manual. Classic charcoal black console, grey controller, special slipcover, Super Mario 64 game cartridge and manual. 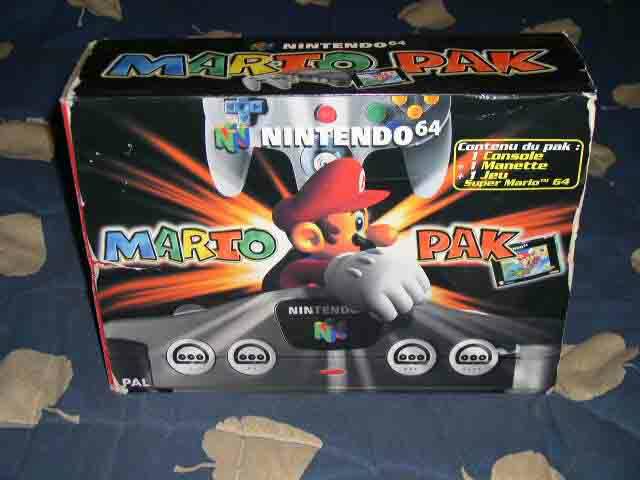 Madden 64 is the first American football game released on Nintendo 64.